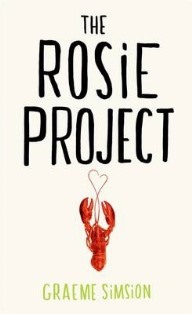 The Rosie Project is funny, clever and has a big heart. It's one of the best books I've read in a long time. It tells the story of Don Tillman, a university professor, and his quest to find the ideal wife. Along comes Rosie, an unsuitable match, who threatens to throw his carefully scheduled life into disarray. Early on it becomes apparent that Don has Asperger’s syndrome and it is fascinating to see the world through his eyes. While I’m not sure what sort of research author Graeme Simsion did for this book and how accurate his depiction is of Asperger’s, he has given me a greater appreciation for people with autism. Simsion also uses humour to great effect but in a respectful way. Don’s literal perspective on life provides many laughs – look out for his Standardised Meal Plan. Thank you to Sarah and Bronte for recommending this book to me. Hi Liz, I hope she enjoys it! Witty, captivating and did not want to put it down. a discovery in understanding how differently abled people think. great book club choice. I got a big kick out of the book. It's just a bouncy, character-driven story, and a feel-good romantic comedy. But NOT chick lit; my husband thought it was one of the most entertaining books he's read in quite awhile.